Louvres are individual slates that are fixed at equal intervals from each other and attached to a gate, window, or even roof. 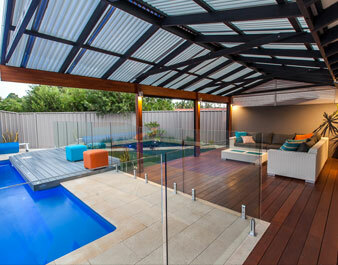 Louvres can be permanently fixed or adjustable. 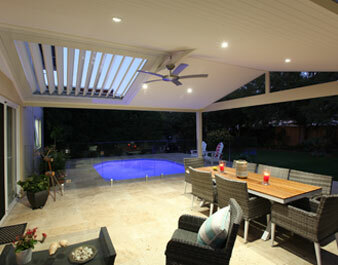 If you choose adjustable louvres, they can be operated using a simple lever, or you can automate them! 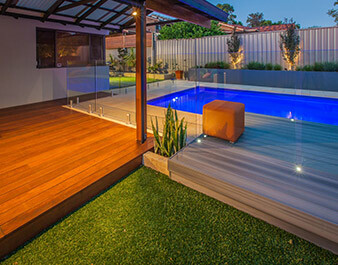 Automation can be as easy as pressing a button on a remote to open and close them to your desired angle. A great feature of automation is that you can also fit them with sensors so the louvres close in full sun or when it rains! 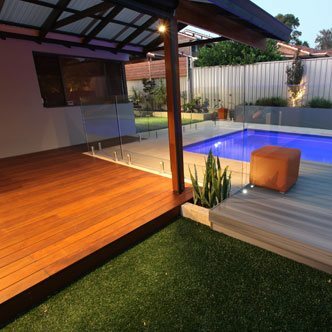 This way when you’re absent from your outdoor area you can rest easy knowing your furniture and décor is protected. 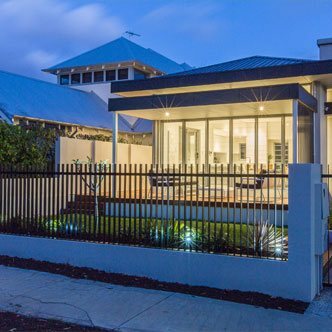 Traditionally, louvres in Perth are made from materials such as timber or aluminium and can be used equally well inside or outside a building. 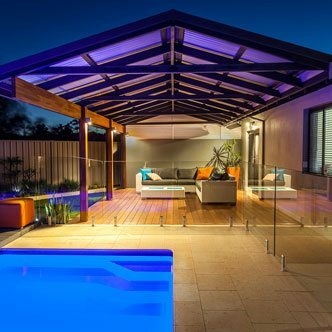 This allows us to create a cohesive design that compliments your house by matching any existing louvres you may be currently using. 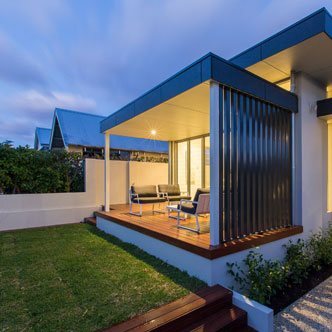 Louvres don’t just control light, but ventilation as well, which is extremely important when considering landscaping in Perth. You can protect yourself from the harsh sun and still allow ventilation with ease. The degree to which the louvres open is completely up to you. This allows you to adjust them as the weather changes, ensuring you never have to cancel a summer barbeque because of unexpected rain. They can also be adjusted for privacy, so you can sit back and be completely comfortable. 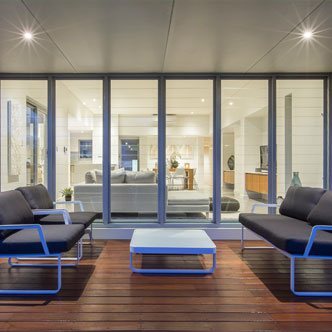 Aside from their many functional attributes, Sustain also recognises the significant impact louvres can make to the design and architecture of your home. 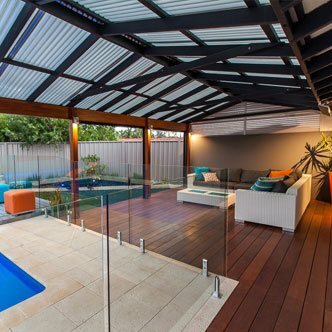 Louvres are available in many materials and colours and can offer a welcome contrast to the overall landscaping of your outdoor area while complementing the aesthetic of your home.